Rashtriya Lok Samata Party President Upendra Kushwaha said Rahul Gandhi has matured in recent times, adding that he has an understanding of the country. Upendra Kushwaha was a minister in the Narendra Modi-led government and quit the NDA last month. After the snub from Samajwadi party (SP) and Bahujan Samaj Party (BSP) and amidst reports of rumblings within the Mahagatbandhan (Grand Alliance) in Bihar, a new ally says Congress President Rahul Gandhi is fit to be Prime Minister and the party backs him for the top post. The Rashtriya Lok Samata Party (RLSP), which quit the BJP-led National Democratic Alliance (NDA) last month, also feels that the Uttar Pradesh-type situation in which the BSP and SP kept Congress out of the alliance in Uttar Pradesh, will not happen in Bihar. "Our party is supporting Rahul Gandhi for Prime Minister. 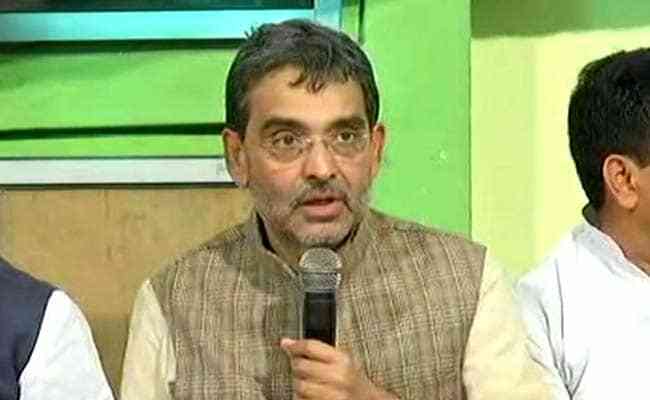 This is not the decision of the Grand Alliance but our party wants him to be the Prime Ministerial candidate," RLSP President Upendra Kushwaha told news agency IANS in an interview. "RJD and Congress are big parties. In Bihar, RJD is bigger and at the national level Congress is a bigger party. If both the parties get respectable number seats, the decision will be announced soon," Mr Kushwaha said. Mr Kushwaha, 58, who was a minister in the Narendra Modi-led government and quit the NDA last month, said that key decisions were taken without consultations. Mr Kushwaha also accused Bihar Chief Minister Nitish Kumar and BJP of trying to destroy his party and said it was the biggest reason for him leaving NDA. He said Sharad Yadav will fight the Lok Sabha elections from Bihar as a constituent of Grand Alliance. Mr Kushshawa said he will be re-contesting the coming Lok Sabha elections from Karakat.